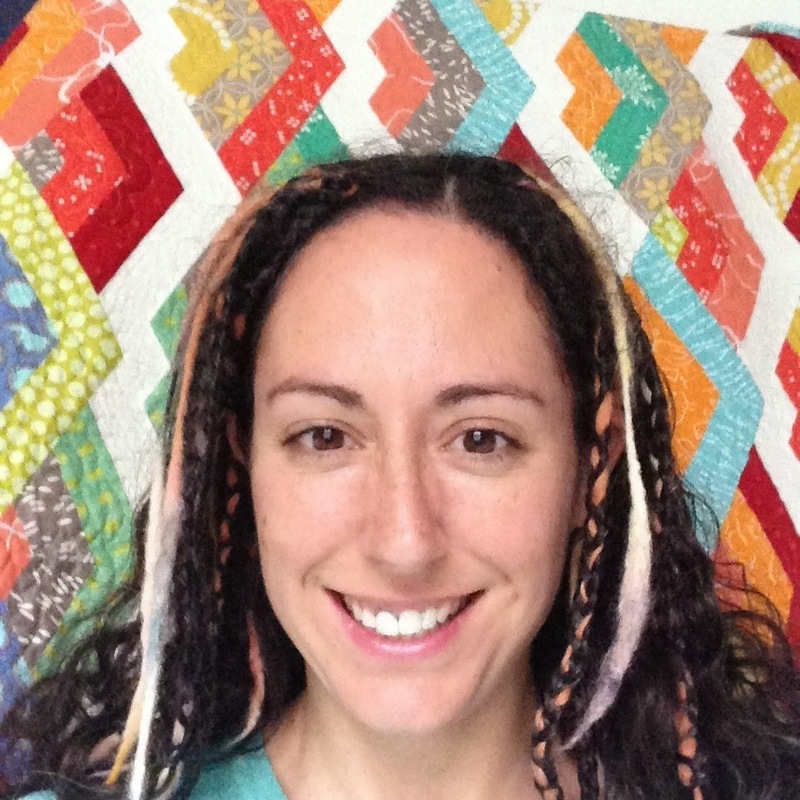 I'm a quilter who loves spreading excitement and confidence to other quilters! I free-motion quilt on my own home machine. I love teaching free-motion quilting so much that I wrote some books about it! They're over there on the right... Then I started playing with wedge quilts, so I wrote about that too! I'm happiest working without patterns, using up scraps and not taking things too seriously. I'm a single mom and quilting is just a part-time thing for me, in the "real" world I'm a nurse-midwife and I love my job. I blog when I can. I also like using Instagram. Follow me there! Or if Facebook is your thing, here's my page! I teach all over! You can find me online at Craftsy. If you're in Portland, Oregon, I teach locally here. And I love to travel to teach, if your quilt guild is looking for a speaker or wanting to host a class, contact me! My email is afewscraps@gmail.com. Quilters often ask what machine I use. I don't use a long arm, just a domestic machine. I have a Juki TL-2010q (affiliate link: they have free shipping!). I'm very happy with this machine. If you have a chance to try and buy in person, I recommend it. But if you're far from a shop that carries machines and you love to free motion quilt your own quilts I think you'll be very happy with this strong, fast, straight-stitch machine. A world where ideas are free to travel is very important to me. The culture and legacy of quilting are important to me. Truly, this is my favorite part of blogging, that I send an idea out into the world and then others build on it and it changes and grows. Thanks for being a part of that magic with me. You needn't ask my permission to link to my blog. Link away, and thank you. If you want to Pin my photos on Pinterest, go right ahead, just be sure to link to the page the photo was found. If you want to use my photo on your blog go ahead, being sure to say "Photo by Christina Cameli" and link to my blog. If you'd like to build on my patterns or ideas to create your own quilts or creative works, wonderful! As long as you are willing to let others adapt and build on your work, you are free to adapt and build on mine, even for commercial uses. Where your work is informed primarily by mine, please say "Adapted from a quilt (or block, or pattern) by Christina Cameli" and provide a link to my blog when you share your work. This work by Christina Cameli is licensed under a Creative Commons Attribution-ShareAlike 4.0 International License.